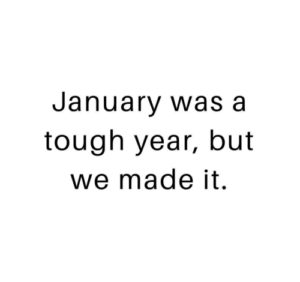 So January was ROUGH for me and a lot of people. I joked with my coworkers that my new year would start in February – so don’t have high expectations for me until then. However, here I am on the 8th day of the month — still struggling. This weekend I’m headed to some kickboxing classes (aka using the heavy bags to release all my negative energy), pulling out my new planner and getting it together. The one thing I’m adding to my planner is moments of self-care. I’ve talked about the importance of self-care before, but I did not practice it at all in January. I was so busy and I realized I never really took time out to reset and breathe. We all get busy, but never feel guilty about taking some time out to take care of yourself. 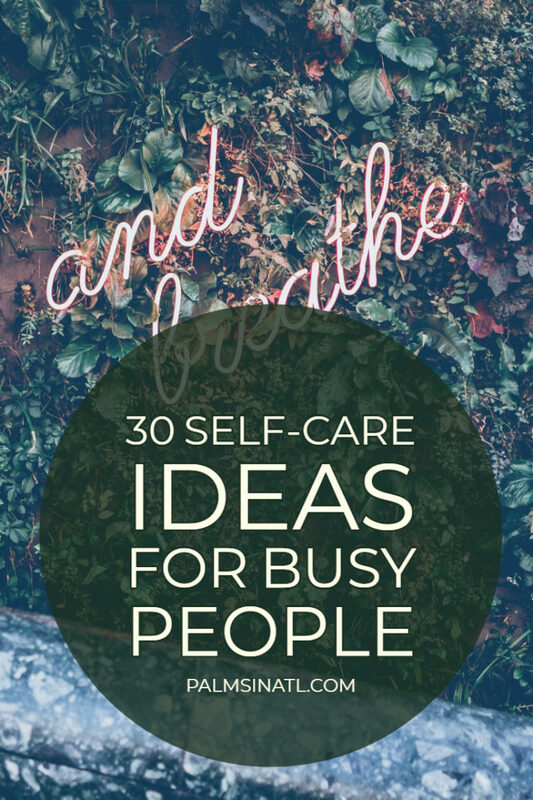 Here are 30 self-care ideas for the busiest of people. Listen to music. We’ve got plenty of playlists for you. Take a moment to breathe or meditate. Watch a movie you love. This is the reason why I know all of the lines in Pride & Prejudice and What’s Love Got To Do With It. Read a chapter of a great book. I usually end up making excuses to finish the book, but a few minutes in a fictional world does wonders for the mind. Carve out 10 minutes to do something simple you love. Whether it’s drawing, reading the Bible, painting your fingernails, staring at a picture of Michael B Jordan. Just give yourself a few minutes of joy. Jump in your car —and just drive in the opposite direction of all the traffic. Snuggle your pet. Sgt. Pepper is so little, but is the best snuggler and his doggie snores make me happy. Organize your planner/agenda. If you need some planner stickers we’ve got your back. Cook dinner for yourself. Try a new recipe, or splurge on a nice bottle of wine. If you are useless in the kitchen (it’s fine a lot of people are) make a reservation for one and treat yo’ self! Spend a few minutes outside. I like to just spend a few minutes on my balcony with my coffee on the weekends before I run errands and I feel so much calmer heading out into Atlanta traffic. Go for a walk. AND stay off of your phone when you do this! Really take in and appreciate the beauty of your surroundings. Take a bath. Use your favorite bath bomb! Make a list of all the things that make you happy. Do something nice for someone else. But wait, Donni you said SELF-care. I know, I know. But when you make someone else feel good, you then feel great. Take a break from all technology for a couple of hours. Y’all I can’t even explain how great a digital detox is – even if only for a few hours. Color in an adult coloring book. I personally love the ones with curse words, but there’s a themed adult coloring book out there for everyone. Reorganize or redecorate your room. Make sure to get a full night of sleep. Go shopping and buy yourself something you want. Ignore negative people. If this isn’t self-care I don’t know what is. Drink more water. Drinking water is important a bunch of different reasons, including increasing energy and reducing fatigue, which is why I consider it a major part of self-care. Enjoy that Starbucks, but drink more water. Declutter your closet (or anything really). Go to a park, beach, or other relaxing location. Remind yourself that you’re awesome! Go window shopping! Sometimes that splurge just isn’t in the budget. That’s okay. Sometimes looking is half the fun. I have e-window shop all the time. Take a multivitamin. Look I’ll be 30 this year. Water, vitamins and face serums are the ultimate self-care. Make an effort to eat a healthy breakfast every morning. How do you incorporate self-care into your life? Leave me a comment below! Love this list!! So many great ideas for treating yourself- which is so important. Love the one about doing something for someone else too. It always makes me feel good to help others. Thanks! Glad you like the list. Volunteering or doing something kind for a friend (or stranger) can really turn your day around. These are all really great ideas! Sometimes I think we forget that self-care doesn’t have to be a big production. There are plenty of little things we can do that only take a few minutes and don’t cost anything. I’m bookmarking this post so I can take a look next time I’m at a loss for ideas. Lots of great self care ideas! This list works well for a month of lavishing ourselves with attention. Thanks for sharing. Seriously, organizing my planner is one of my favorite, most relaxing activities! I love shopping for new stickers and washi tape. This is a great list! YASSS! I my washi tape collection is a little out of control lol, but I just love my planner and all my planner accessories. Thanks for reading. music and meditation are my go-tos! They really work! Yes! I love a good dance break. Thanks for reading! These are all such effective suggestions! As I get older, I’m learning self care is so important. Take some time out for yourself girl and don’t apologize for it! Thanks for stopping by! These are all great ideas! I love the one about doing something nice for someone else – it really does make you feel better when you do something selfless!